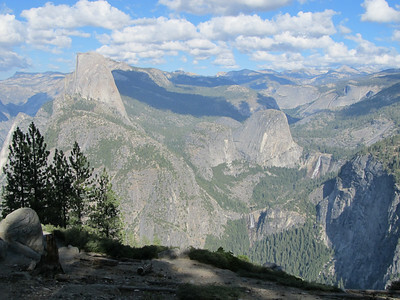 If Yosemite Falls had any water flowing you would see it directly across the valley just to the right of the angular shadow. 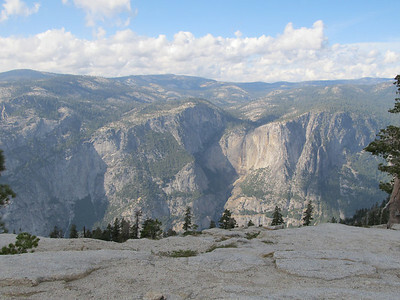 The back side of El Capitan as the sun is going down. 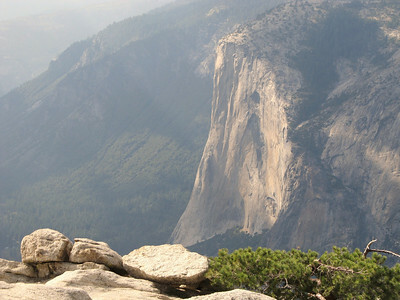 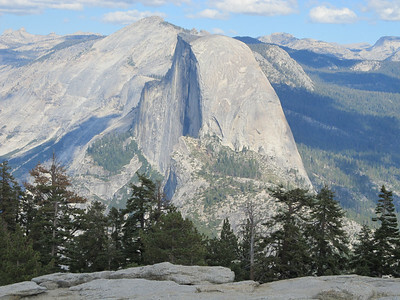 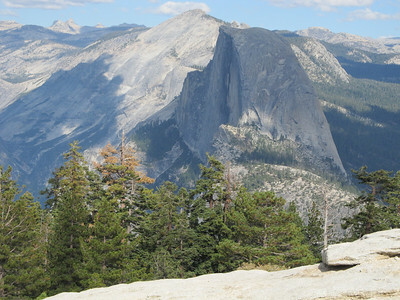 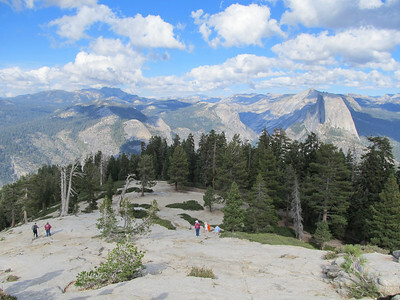 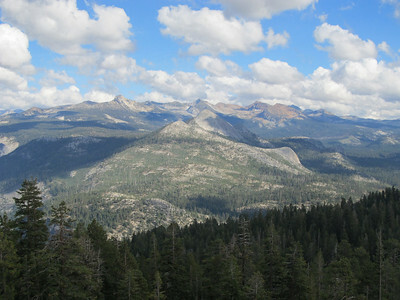 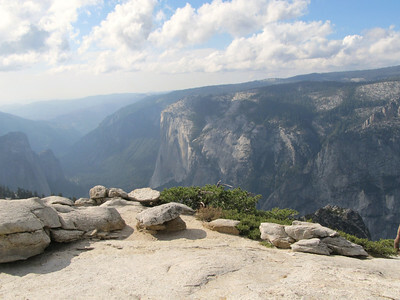 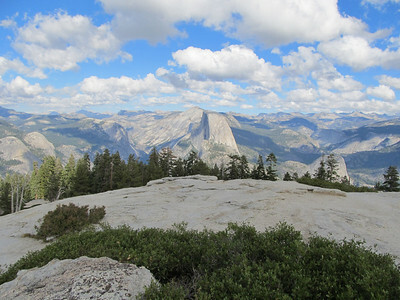 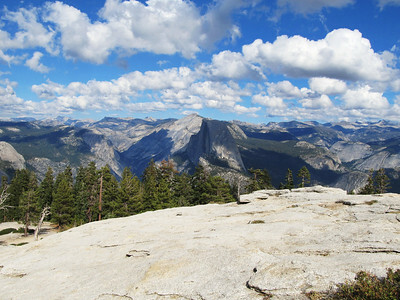 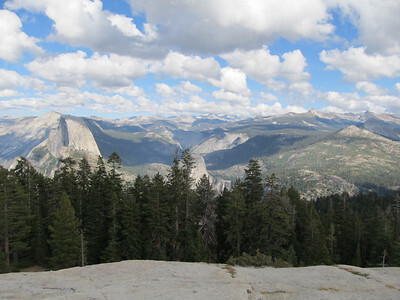 Half Dome, Vernal Fall and Nevada Fall all from the top of Sentinel Dome.